What Basics are your Landing Pages Missing? What Basics of Conversion Rate Optimization are your Landing Pages Missing? Conversion rate optimization is one of those terms that internet users talk about so frequently. Unfortunately, it is hard for them to explain in its entirety. Optimization of the landing pages and such things will be truly helpful when you are running a business online. Capturing the attention of people online is hard enough. Now that you have traffic being directed to your website, it is important to make that traffic active. Working with passive visitors is not a rewarding activity. You need people who are actively engaging with your content frequently. This article is going to focus mainly on what CRO is and what it is all about. It will also touch on a few tricks that you can employ to optimize your landing page and improve user experience on your website. 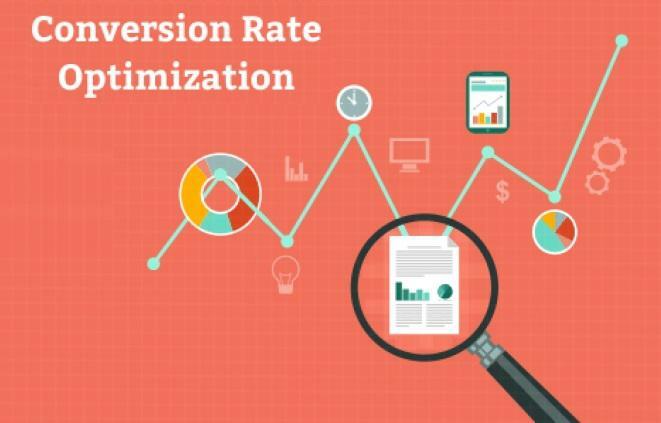 What exactly is conversion rate optimization? At the most basic level, CRO is a method that uses analytics and feedback from users to improve the performance of a website. 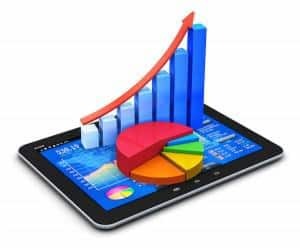 It is meant to improve various metrics on your website- at least the ones that are important to your business known as the key performance indicators (KPIs). These are the factors that you should always strive to improve in your business. CRO is strongly associated with acquisition of new customers, registration (signing up for a service), downloading content and such things. In other words, it is meant to increase the percentage of the visitors who obtain information from your website and they act upon it. These visitors go from passive browsers to active participants who conduct certain activities on your website. In order to carry out conversion rate optimization, you will need to figure out exactly what users are looking for when they visit your website and then you give them that. CRO can take one of many forms depending on the KPI that you are trying to improve. For instance, you want someone to sign up for your newsletter? You could make the call-to-action buttons more conspicuous or place them on a page that has heavy traffic but is under-optimized. Some other times, it means the removal or relocation of unnecessarily complex and time-consuming steps from the conversion funnel. Such complexities add friction which might prevent conversion from happening. To bring the basics of conversion rate optimization into perspective, it is probably best to point out the success of the Public Relations Society of America (PRSA). PRSA wanted to improve the user experience of the people visiting their Job Center. To achieve this end, they had to make several tweaks to their website and achieve the end goal. With the use of SEO principles and the addition of various features in their Job Center, the society was able to improve user experience on their site and also get more conversions. What exactly is it that they had to do? Social media marketing is one of the things the employed. They employed a lot of social media marketing for their Job Center. They would post content on their social media platforms concerning how to find PR jobs across the country. It is not enough to have good social media marketing in place; the page that you send people to must be both relevant and targeted. They made alterations to their website adding several more tags and grouping the jobs that were available in various categories to make using the Job Center even better. Individuals who had not signed up to become members of the society were also able to do so with impressive ease because the call-to-action buttons were made more apparent on the Job Center as well. There is nothing as annoying as finding this website that has exactly what you are looking for but it turns out to be too difficult to use. What are the fundamentals of CRO that you can learn from the case of PRSA? When advertising your products, it is important to avoid sending people to your homepage. The homepage is just a general thing with communication of every detail concerning your business. It is meant to be that way. Do not send people to your homepage if you are advertising a specific service that has its own page on your site. Keep in mind that the less your visitors have to search on the site when they are browsing content, the more beneficial it will be for them and ultimately for you. It would be quite disappointing if the PRSA job center said that there are PR jobs in some Fortune 500 companies but then when you visit the landing page, you only find jobs in companies that are not even in existence. The content that you have on your landing page should be in line with the expectations that you have given your visitor from the advertisement or social media post you made. Here is one thing that you need to understand concerning the psychology of internet users: no one has time to waste. When you are dealing with online prospects, you have to get straight to the point with little fuss. Just make the juicy parts stand out. Just like you would buy a newspaper if the headline is attractive to your attention, people will buy your ideas if you have clear and concise headlines. Make the headline clear and easy to notice. It should be placed at a strategic position on the page. You do not need to write a whole essay so that you can draw people to your site. There was an ad campaign that was running online a few years ago and it had a single button stating ‘Don’t click me’. Since people are curious creatures naturally,this ad was not only tempting but it also had just the right information for those who clicked on the button. Optimization of a landing page and conversion rate optimization is not such a simple task. However, it is also not so difficult. It is all about tidying up your pages and making the user experience simpler. Like PRSA did with their Job Center, make it easy for your users to enjoy an easy time when they are on your site. Jack Dawson is a web developer and UI/UX specialist. He likes to share knowledge and points of view with other developers and consumers on platforms. Visit more on 8 Steps to Choosing a Web Design Firm. This entry was posted in Other and tagged Landing Pages, optimization on March 28, 2016 by Jack Dawson.